Geoff Keighley have tweeted another image containing a barcode which contains a link to a teaser website containing the final image of the “Infected” tease. 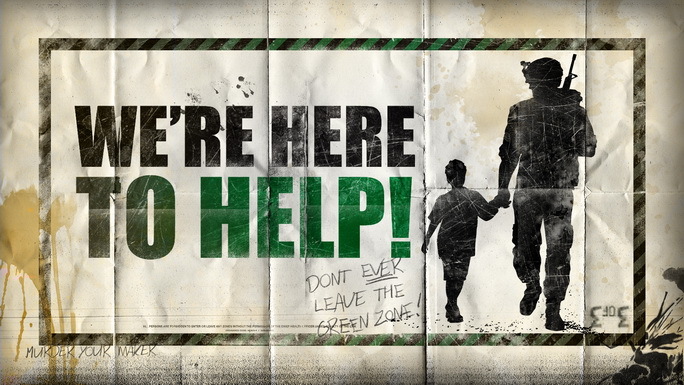 As you can see, it contains an image of a solider walking with a kid and proclaims that you should not leave the green zone. Does that rings any bells? It sure does, Resident Evil! Surprisingly, the image also contains the text murder your maker which was being teased as being a new game by Activision to be shown off at the VGAs 2010. What could that possibly mean? We are yet to figure it out to be honest and would leave it to you to make head or tail out of this. As we all know, VGAs will air on Dec 11 clearing each adn every confusion.